We have smartphones, smart watches, smart appliances and smart cars. Even smart blinds. Yes, even smart wheel barrels. Why not smart shopping carts? Not the shopping cart you use to check out at an e-commerce website, the shopping carts that are used to take your purchases – most usually groceries – from the store to your car and are left in the parking lot for a store employee to collect. Manually collecting shopping carts can easily cost a single retail store $100,000 or more a year! 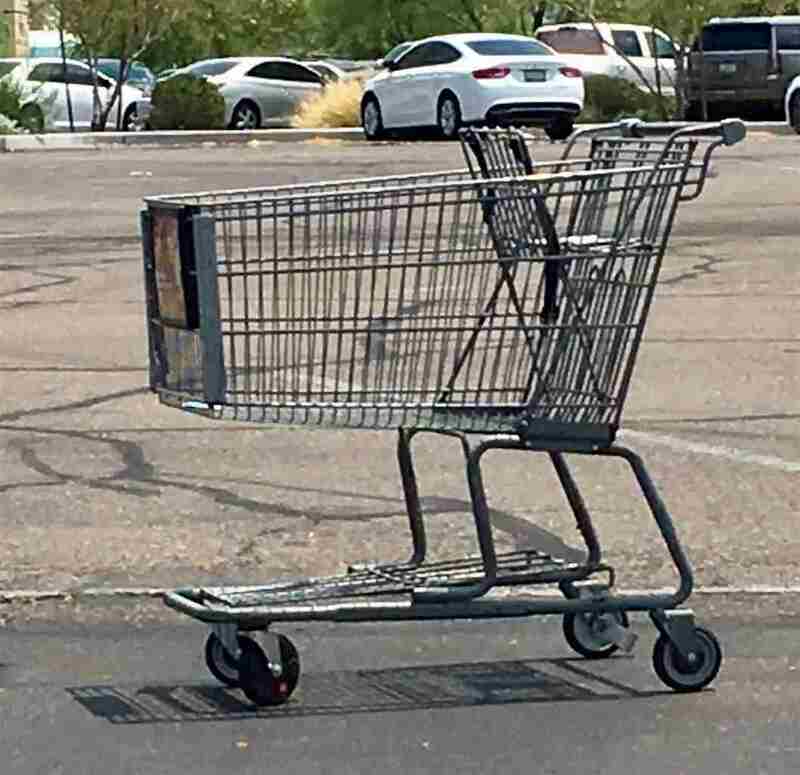 Wouldn’t it save money, time and general aggravation if the carts just found their way back home? Like your dog does. That is exactly what this patent does! It creates the next generation of shopping cart that includes a battery-powered motor that senses when the cart is not in use and automatically returns it to a cart corral or other designated location. The invention covered by this patent creates a shopping cart with a programmable logic controller, rechargeable battery, powertrain components and brakes, GPS capabilities, object and activity sensors, docking ports, touchscreen, and Wi-Fi connectivity. Once the cart has been used and has been abandoned for a user-defined period, it automatically drives itself to a specific location using GPS guidance to determine the best route. While in route, object sensors detect anything – automobiles, shoppers, other shopping carts, baby strollers, etc. – in the path of the cart, enabling it to avoid such objects and return itself safely to where the store management wants the cart to be. U.S. Patent No. 9,104,205 for an "Automated return shopping cart" would be a critical acquisition for any retailer looking to reduce its labor costs and create a smarter, safer parking lot and shopping experience for its customers, as well as any shopping cart manufacturer prepared to offer the next generation of carts to its customers. There are few things more uncomfortable – and more back-breaking – than working off a surface that is the wrong height – either too low or too high! Repair technicians, factory workers, painters and carpenters, plumbers and electricians, food service workers, medical personnel, retail staff, auto mechanics and dozens of other types of workers would all benefit from having their tools, parts, supplies and inventory nearby and at the right height for optimal job performance and reduced stress on their bodies – especially their backs. The invention covered by this portfolio addresses exactly that need! Branded “Mobile Utility Lift Ergonomics™” or “MULE™” by its inventor, this portfolio creates a cart with a height-adjustable platform the user sets to exactly the right position for the most convenient access to his or her tools, parts, supplies, inventory or other materials. When a MULE is passed from one worker to the next, the new worker quickly adjusts the height of the platform to his or her optimal position. 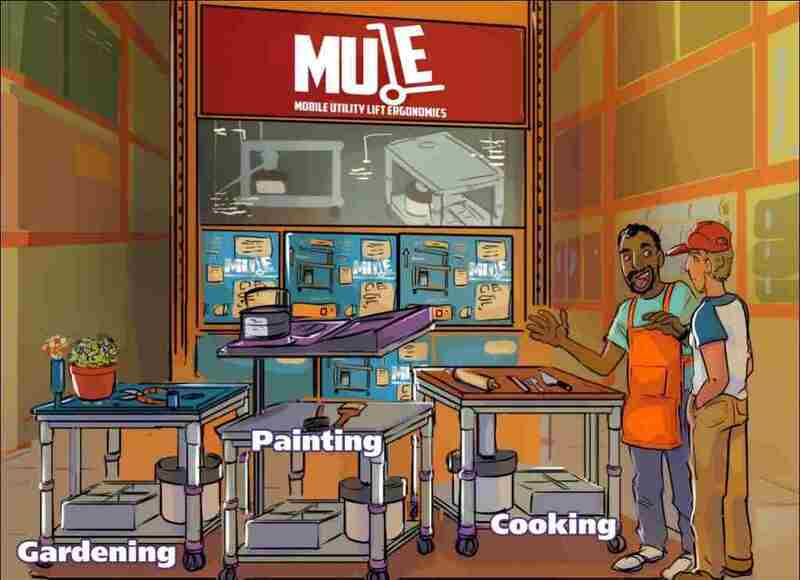 The MULE also includes a tube that leads to a trash receptacle – to keep the workplace clean – and it comes with a power station and electrical outlets for the user’s tools, equipment, PC or tablet, cell phone or other devices! This portfolio consists of U.S. Patent No. 10,118,632 for a "Multipurpose Mobile Utility Lifting Ergonomic Cart" as well as a Design Patent Application, a Continuation-in-Part to the utility patent, and two Trademark Applications. This portfolio will give any commercial or industrial hardware or equipment manufacturer the opportunity to introduce a workplace cart that will create a new business segment. Different versions of the basic invention can be created for specific markets – construction, manufacturing, service and repair, food services, retail, medical and dental, and many other industries. Mobile Utility Lift Ergonomics and MULE are trademarks of Alex Carzola. Geodesic domes are coming into more and more uses – from greenhouses and residential structures to commercial and solar-collection buildings to museums and sports stadiums. 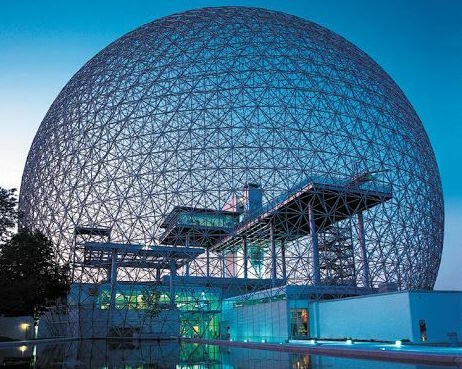 The famed architect and futurist Buckminster Fuller designed numerous structures based on the geodesic dome. A geodesic dome (often called just a “geodome”) is not just elegant in its appearance, it is also an inherently rugged – yet relatively lightweight – structure. This patent introduces hexagons and pentagons that simplify the design even farther while maintaining structural integrity. Geodesic domes are not easy to build. A key element in the construction of a geodesic dome is connecting all the beams to each other. This patent creates an enhanced beam connector specifically for geodesic domes that enables a geodesic dome to be built using just one connector size and shape and just one beam size and shape. The improved connector comprises three angularly spaced apart legs radiating from the center at a downward pitch, each leg for receiving a beam. The top surfaces of each leg forms a dihedral angle for supporting adjacent exterior hexagonal and pentagonal panels. The bottom surfaces of each leg forms a dihedral angle for supporting adjacent interior hexagonal and pentagonal panels. All angles are accounted for by the connector so it is not necessary to continually adjust the beams or have to pull them all together during construction. U.S. Patent No. 9,903,107 for a "Beam Connector" creates an advanced, easy-to-use and economical connector for the construction of geodesic domes that simplifies construction, reduces material and labor costs, and shortens the time it takes to construct a geodome of any size or material. This patent would be a critical acquisition for any manufacturer of structural hardware and/or geodesic domes. We have to floss. We all get it. 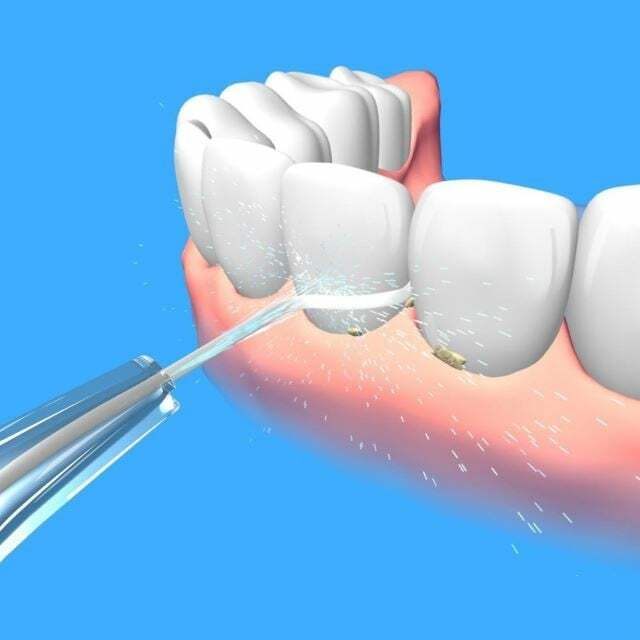 And using a water pick to floss and clean between your teeth is very effective and contributes to dental health. No argument. But setting up all that equipment? You have to find a place to put it, fill the tank with water, and then find a place to plug it in. Once you are done, you have to empty the tank, unplug it, and put it away. Really? Who has time for that? Someone should invent a water pick that you just pick up and use. NO tank to fill and then have to empty. NO device to find a place for, and then find a place to plug it in. NO equipment to have to put away when you are done. Someone ought to invent an effective and affordable water pick and flossing tool that you just pick up like a toothbrush, use it to clean thoroughly between your teeth and gums, and then just put it back when you are done so you can go on about your busy life! Why doesn’t someone invent something like that? Someone did! U.S. Patent No. 10,064,710 for an "Oral Hygiene Apparatus" creates a tooth-flossing tool that attaches to the water line coming into your bathroom sink. You just pick it up and use it. And when you are done, you put it back and walk away! Nothing to make room for in your bathroom. No tank to fill. No tank to empty. Nothing to plug in. Nothing to unplug! No batteries to replace. No machine to put away when you are done! Based on the technology behind the spray attachment on a kitchen sink, this water pick and flossing tool uses the water pressure going into the bathroom sink to create a powerful jet spray that cleans between your teeth and gums. Just pick it up and use it as you would your toothbrush. And put it away when you’re done! The invention can be configured with multiple heads for multiple users, or it can be configured to have multiple units at a single sink. This patent would be a critical acquisition for any oral hygiene products manufacturer looking to create and own a new market segment, or an opportunity for any bathroom fixtures company to create and own a new bathroom sink product line! As the U.S. population ages, demand grows for products for senior citizens. An ongoing challenge for the elderly is picking up something – glasses, money, keys, pet toys, medications or other items – they dropped. The only currently available solution is a cane that turns into a grabber, but the problem with that configuration is the user loses the use of the cane when it converts to a retrieval device! 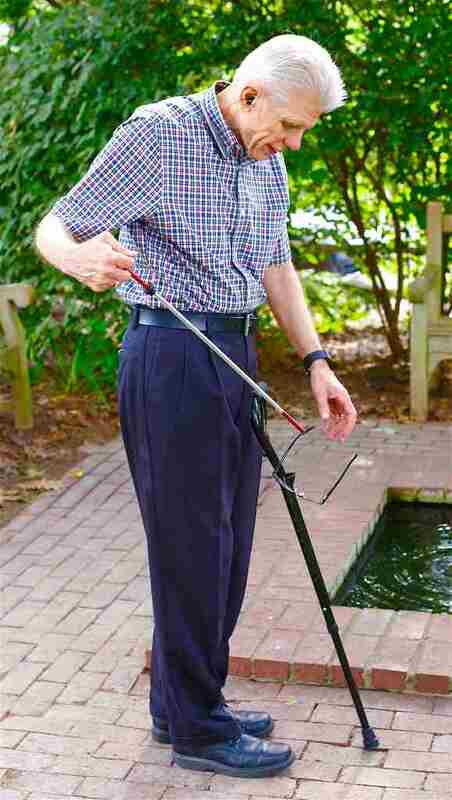 This patent covers a dual-purpose apparatus – a cane that aids in walking and includes an attached reaching apparatus that the owner can use to retrieve a dropped item. Since the retrieval device is attached to the cane, it is always nearby and available when needed. The retrieval device is housed in a sheath, so once an item is retrieved, the reaching device (or grabber) can be easily replaced back into the sheath that is attached to the cane. The user does NOT use loose of the cane while using the retrieval attachment, dramatically reducing the number of senior falls that result in over one million hospital admissions a year and over 75,000 deaths! U.S. Patent No. 9,456,670 for "Devices, systems, and methods for combining mobility and reaching aids" will enable the company that acquires it to create a new product segment for the 6+ million Americans who use a cane. Working samples of the product are available, and a manufacturing source is already in place, so the acquirer of this patent can go to market immediately! The portfolio also includes U.S. Patent No. 10,058,150 for "Devices, systems, and methods for combining mobility and reaching aids" that creates a second product line, a retrieval device that attaches to an existing cane. 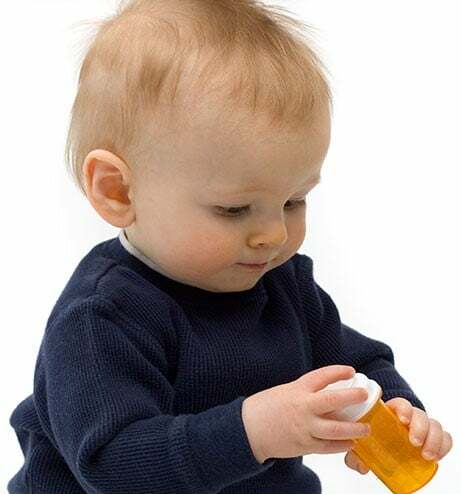 The growing medical cannabis industry faces the same challenge that conventional drug producers face – keeping their medications from being accidentally consumed by a curious child. This patent creates a child-proof opening for a plastic pouch. It uses a “removal tool” that sits between two edges of the pouch to form an opening. A handle is attached to one edge of the pouch, and it includes an opening that is sized to receive the removal tool. A second handle is attached to the other edge of the pouch, and it fits into a cavity in the first handle that interlocks with the other handle. When the removal tool is slid up, the pouch opens, and when it is slid down, the pouch opening is closed. The pouch cannot be opened from the top as other pouches can, so only those who understand the use of the removal tool can access the contents of the bag. U.S. Patent No. 9,365,325 for "Child proof containers" would be a critical acquisition for any medical cannabis producer or any packaging manufacturer selling to the fast-growing medical cannabis industry. The technology can easily be adapted to the plastic pouches currently on the market – such as the zip-lock units – to create a new generation of child-proof pouches for medical cannabis that can be displayed on retail fixtures on hooks and can be constructed of mylar or clear plastic. More and more Americans are being diagnosed with osteoporosis – calcium deficiency disease – that results in weak bones that are susceptible to fractures. The cause, in general, is lack of sufficient calcium – specifically lack of the proper form of calcium i.e. calcium phosphate – that imparts structural strength to bones. This is the same calcium that is present in milk. 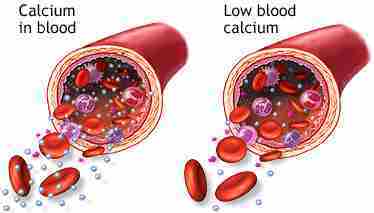 Calcium phosphate, like other forms of calcium, is also completely insoluble and, therefore, not absorbed by the body. The solution to help prevent osteoporosis is covered by this portfolio – to provide calcium phosphate that is in solution (fully dissolved, not merely suspended) at the time of ingestion so it is available for complete absorption. When a beverage in which calcium phosphate has been dissolved is consumed, the calcium phosphate is immediately available for complete absorption to provide maximum efficacy. One 20-ounce bottle of such a liquid provides 50% of the daily requirement. U.S. Patent Nos. 8,840,941 and 9,386,796 for a "Method for Infusing Calcium Phosphate in Water, Juices and Water Beverages" present an affordable, practical, and efficacious solution to help prevent osteoporosis. This portfolio creates a flavored, powdered mix that can be added to water, juice or any other beverage. The powder infuses calcium phosphate into the liquid where it forms a true solution. When the beverage is consumed, the calcium phosphate is immediately available for complete absorption by the body. In addition to beverages for adults, this patented formula can be added to children’s favorites – especially gelatin desserts – which will then contain the same amount of clear dairy calcium as is present in flavored yogurts, but without the fat, calories and lactose. This portfolio would be a critical acquisition for any beverage company that markets bottled and flavored waters, juices, teas, and other products, or gelatin desserts, and is prepared to create and OWN a new market segment that will be patent protected through 2025! Many parts of the world today still lack clean drinking water. 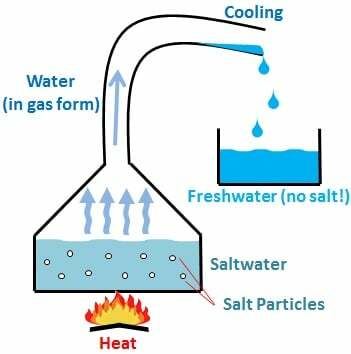 The desalinating (or “sweetening”) of salt water is an expensive process that most often involves reverse osmosis, distillation, electrodyalisis or partial freezing. All of these are high-energy-consumption, low-efficiency processes. This patent covers a desalination technology that is efficient and consumes far less energy. The invention uses centrifugal force to create water droplets that fly off at a high speed, and in so doing they fluctuate from a liquid to a gaseous state and back to a liquid. For the short time the droplets convert to a gaseous state (water vapor), the salt and other impurities separate from the water. When the water vapor condenses, the salt and impurities are left behind. The invention is energy efficient because it can operate at relatively lower speeds tossing off small droplets. U.S. Patent No. 7,160,469 for a "System and method for efficient and low energy desalination of water" is a robust patent with 29 Claims, and it would be a critical acquisition for any business in the water desalination business, or any enterprise prepared to enter that business sector with a unique, patented process. What TV and radio stations charge for advertising is based on their ratings, and everyone knows that there are serious issues with how television viewership and radio listenership are tracked and recorded. For example, a device is attached to a TV that tracks what station is being played on the set, but who – if anyone – is actually in the room watching TV? The invention covered by this patent records what a person is watching or listening to by having the participant hold his mobile device or land-line telephone up to the television or radio. The technology matches the incoming signal to accurately and non-arbitrarily record exactly what television or radio station is being viewed or listened to. Through pre-screening or by surveying the participants, the demographics of viewers and listeners can also be accurately determined! U.S. Patent No. 7,797,186 for a "Method and System for Gathering and Recording Real-Time Market Survey and Other Data from Radio Listeners and Television Viewers Utilizing Telephones Including Wireless Cell Phones" presents several intriguing opportunities. It would enable an enterprising business or network to create a totally new TV and radio ratings system to compete with the present providers. 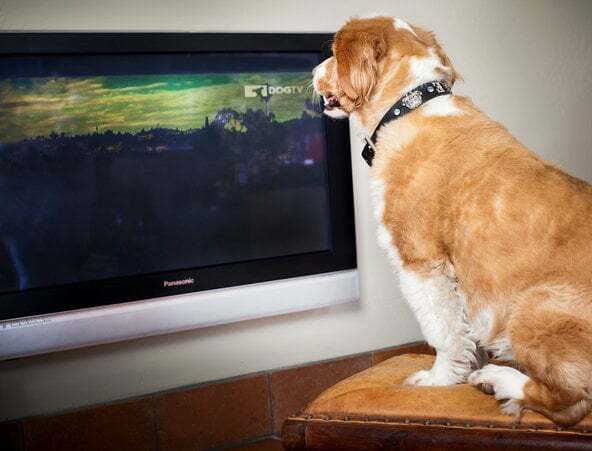 It also enables advertisers or broadcasters to perform their own in-house ratings. And it creates a system for organizations responsible for the payment of royalties to determine what is being played in restaurants, malls, office buildings and other venues. This Patent has a 2005 Priority Date and 24 Forward Citations. Wouldn’t it be great if those with high cholesterol levels did not have to take prescription medicines, but could simply add something to their food and drinks that would reduce their cholesterol levels? 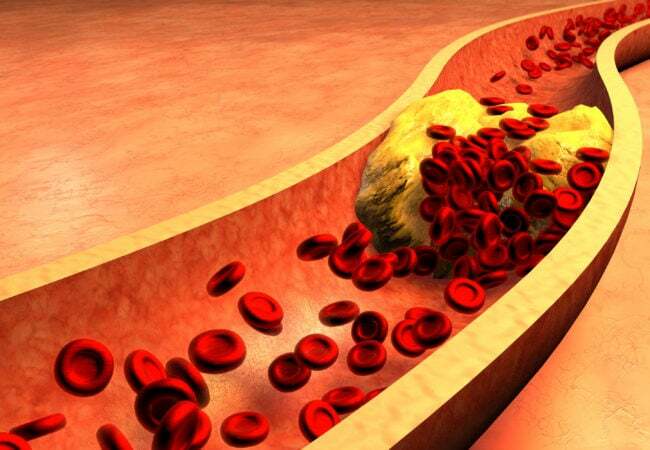 That magical solution to high cholesterol levels exists and is covered by this patent! U.S. Patent No. 8,613,963 for a "Nutritional Supplement" covers a magic potion that is specifically designed to lower cholesterol by addressing multiple mechanisms including hepatic synthesis and release, as well as intestinal absorption of cholesterol, while also mitigating the side effects of the supplement and increasing its effectiveness. The effectiveness of this supplement is supported by a published study that reports the results of double-blind testing of 79 subjects. The company that acquires this patent will be able to introduce an over-the-counter nutritional supplement that can be sold as a powder that can be added to food items or a concentrate that can be mixed with water or another beverage, or incorporated into baked goods by the purchaser, creating a new segment in the nutritional supplements sector! The invention covered by this patent is for securely encasing, tracking, monitoring and protecting articles of value for storage or transport. The enclosure described in the patent is equipped and programmed to acquire information such as location and travel history; internal and external conditions such as temperature and humidity; events such as openings, closings, locking and unlocking, and acceleration and impact; and image capture for a video or photo record of the surrounding environment. 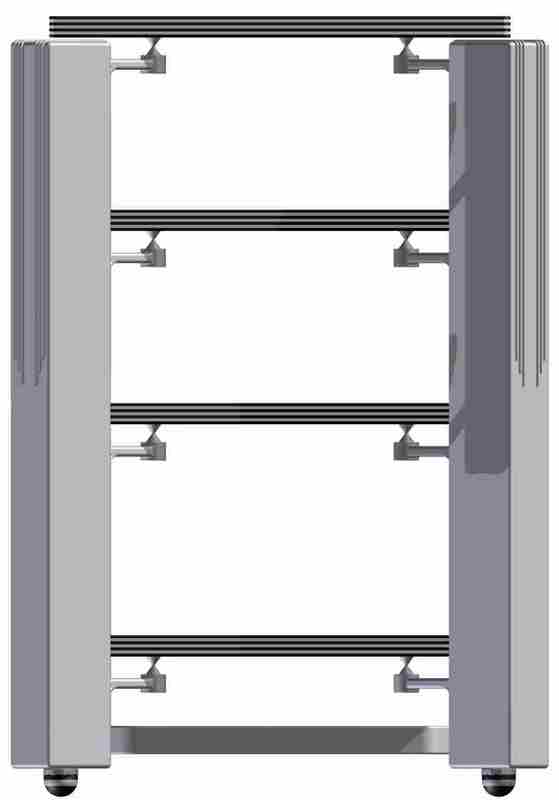 The enclosures are made of carbon fiber in an outer shell, high-strength and low-weight structural cores such as honeycomb internal structural layers, different types of foam materials for energy absorption, interior compartments for housing and protecting the contents, internal locks which can be remotely controlled electronically, and concealed case controls or an external control panel. 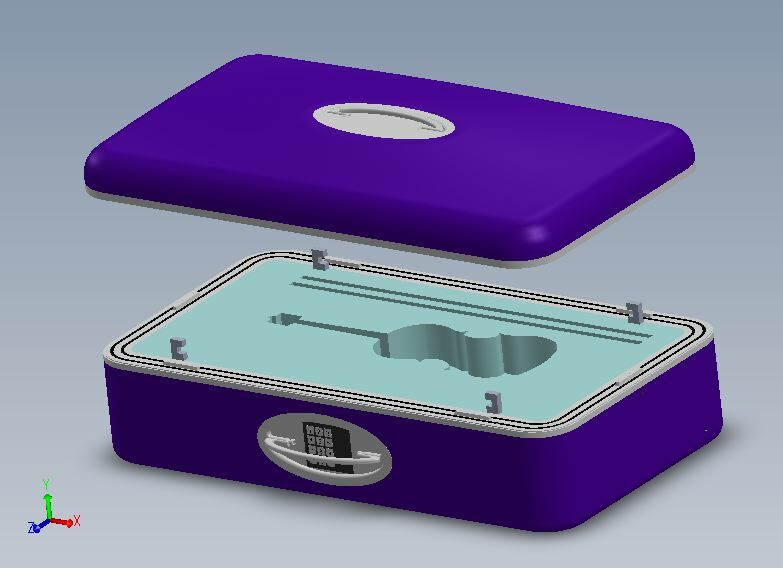 Any company, agency or organization that has the challenge of transporting valuable cargo – musical instruments, art and artifacts, wine and cigars, delicate electronic components or prototypes, for example – can benefit from the technology covered by this patent and accompanying U.S. Patent Application 20150130635. This portfolio includes both U.S. Patent No. 8,844,144 for a "Handheld Cardboard Scoring Device" and U.S. Trademark Serial No. 8707922 for "HandyScore," the brand name of the product covered by the Patent. The invention is ingeniously simple. It is a scoring tool that enables the user to score a sheet of cardboard and create a cardboard box of any size, shape or dimensions. This is a product that will prove indispensable to any business that ships out products! HandyScore is already being successfully sold online by the patentee, but the patentee and trademark owner have decided to sell or license the patent to a company that can take the product national. This portfolio is an ideal, strategic acquisition for any office supply retailer or distributor, or any office supplies manufacturer. Included is the source of a current manufacturer of the product, so the new patentee can go to market with HandyScore immediately! HandyScore is a registered trademark of SPS Packaging Supplies, Inc. This patent would be a key acquisition for any manufacturer of AV equipment or accessories, and will give its owner a distinct and absolute competitive advantage over all products currently available. 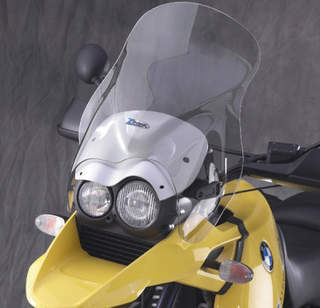 This patent describes a motorcycle windshield that adjusts itself based on the speed of the motorcycle and pre-programmed rider preferences. This patent would be an ideal acquisition for businesses in the motorcycle and motorcycling fairing manufacturing, as well as businesses seeking to enter these markets. Financial Product that Aggregates Multiple Cash Flows (Walsh): U.S. Patent No. 7,552,075 "Method, Apparatus and Computer-Based Program for Exclusive Investment of Debenture Credit"
This patent (and a related patent application) incorporate the creation of a single financial product that includes a security arrangement, legal agreement(s) and technical management that aggregates the values of present or future cash flows from financial arrangements or securities offered by multiple entities such that the assets and liabilities are combined through agreements and other such arrangements to produce an enhanced portfolio value of the financial products. This patent would be a valuable acquisition for any bank, brokerage house or other financial institution. Product Marker System (Nightengale): U.S. Patent Nos. 6,951,687 and 7,163,744 - "Multi-functional product markers and methods for making and using the same"
The two patents describe structure of a polymeric fiber that can be used in a product marker. 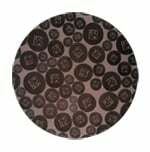 Such a fiber can store information either by combination of voids and grooves or by areas of optically detectable difference. Both of the patented technologies provide a solution to drawbacks present in conventional marking system. Markers developed on the patented technologies will have high information storage capacity, environmental and biological compatibility, sub-millimeter scale binary data encoding capacity, and manipulability. This would make a marker safer, more reliable, easily read, and inexpensive. Such markers have range of applications across industries. However, increased focus on human health makes the pharmaceutical and food industries the target application areas. Many nations have enforced regulations governing the mandate of traceability in food products. This would fuel the demand of high-tech but safe and inexpensive markers. Based on a combination of the market and technical analysis, it can be said that the successful bidder of the patent portfolio will have an opportunity to gain an advantage in the Product Marking market.